Detson Security provides office security systems designed specifically for your business. Security systems that keep your business and staff safe. 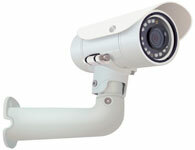 Detson Security provides video surveillance coverage that is expandable for your growing business. High quality video images that protect your assets, lower your liability, and improve general operations. Record activity Contact Detson Security. Detson Security helps you identify your staff and vistors before your grant entry.